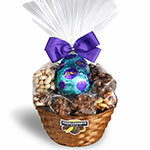 Celebrating Easter – and 85 years of delicious nuts and treats, Charlesworth Nuts has Easter Baskets for everyone. 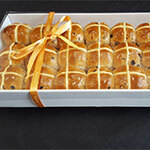 Kytons’ award-winning hot cross bun range includes the limited edition FruChocs Hot Cross Bun – it’s a win win, but did you know three great names come together to make it happen? Yes, the flour in these tasty treats is from Laucke Flour Mills. Go get ’em! 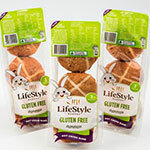 If you want to do the hot cross bun thing but need to do it gluten free, Lifestyle Bakery have the buns for you. They make Easter all things nice for everyone to enjoy. 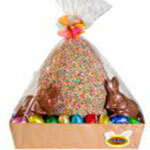 Perfectly and deliciously South Australian, Haigh’s Chocolates says Happy Easter in style. 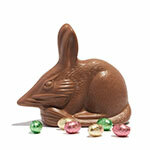 Fun fact: Haigh’s have made over 800,000 chocolate bilbies since they first launched their bunny alternative in 1993. Packed with local deliciousness from Melba’s Chocolates, these hampers are wrapped and ready to go! If you can’t get enough FruChocs (who can?) then they have more Easter treats in store for you. As well as their special Easter-packaged boxes, there’s someone else you should meet – the FruBunny! 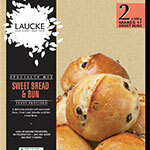 If DIY hot cross buns are your thing, grab a box of Laucke’s Sweet Bread and Bun Mix and their recipe and put your own twist on Easter. Mmm, just imagine that fresh baked fragrance in your kitchen. Happy Easter from all of us at Eat Local SA.